The decline of Motor City, USA, may simply seem to be symptomatic of the decline of industrial cities across the world. But as this book shows us, what happens in Detroit matters for other cities globally—and always has. Why Detroit Matters bridges the academic and nonacademic worlds to examine how the story of Detroit offers powerful and universally applicable lessons on urban decline, planning, urban development, race relations, revitalization, and governance. Reflecting the diversity of the city, Why Detroit Matters includes contributions both from leading scholars and some of the city’s most influential writers, planners, artists, and activists—including author George Galster, activist and author Grace Lee Boggs, author John Gallagher, and artist Tyree Guyton—who have all contributed chapters drawing on their rich experience and ideas. Also featuring edited transcripts of interviews with prominent visionaries who are developing innovative solutions to the challenges in Detroit, this book will be of keen interest to urban scholars and students in a variety of disciplines—from geography to economics, sociology, and urban and planning studies—as well as practitioners, including urban and regional planners, urban designers, community activists, and politicians and policy makers. 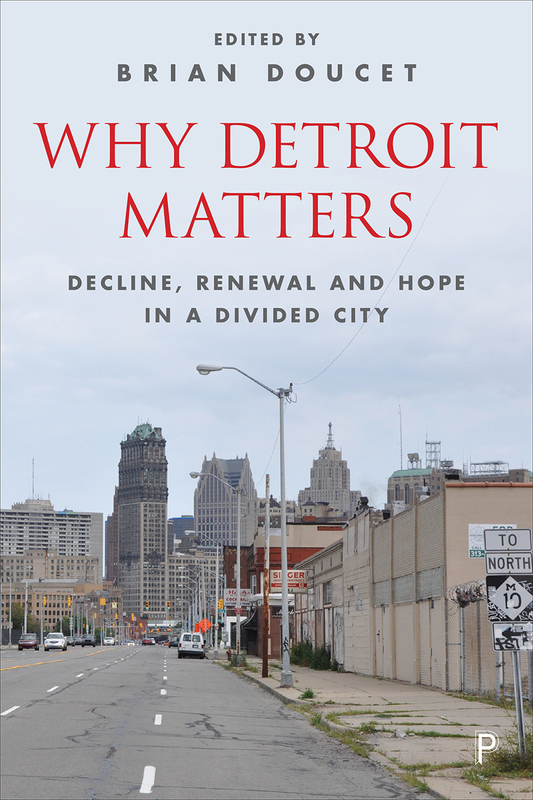 Detroit, this book makes clear, could be a model of renewal and hope for the many cities suffering from similar problems, both in America and beyond. three Detroit in bankruptcy: what are the lessons to be learned? "This is an important and unique book in the context of the future of cities globally. In considering Detroit as a symbol of aspects of post-industrial decline and regeneration, it gives voice to a range of normally excluded voices and narratives. It therefore provides a valuably rounded set of perspectives and visions which, together, help the reader to understand the forces that have shaped the city, and wider lessons for creating more inclusive cities." "Encompassing a wide range of views from academics (European and US) as well as neighborhood activists and artists, the book could excite lively discussions in urban studies and urban planning classes. The contributors explore the role of race, class, and post-industrialism in Detroit’s devolution and critique neoliberal policy by juxtaposing disinvestment in city neighborhoods against Quicken Loans–spurred downtown revival."